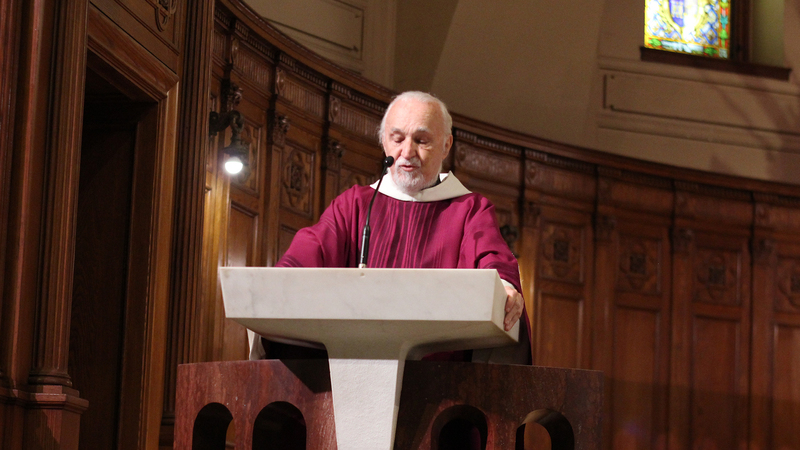 To mark our gratefulness for Father Claude Grou’s recovery, following his attack on March 22, and to salute his return to pastoral fonctions, we are happy to share the homily he gave, in French, during Mass on Friday March 29. 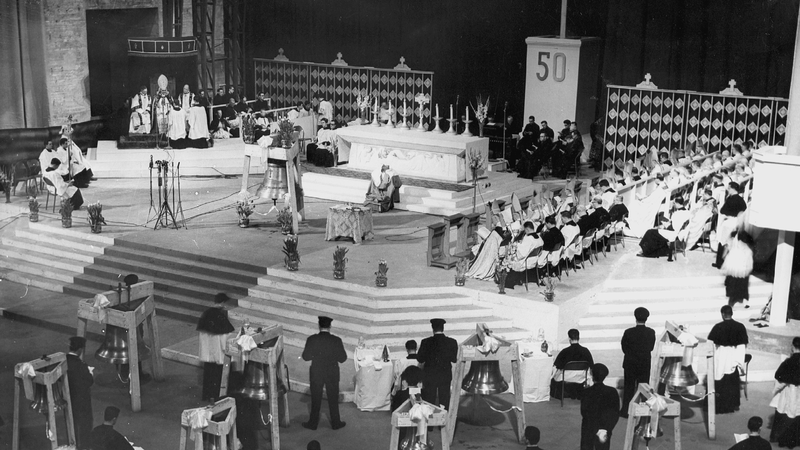 Read the Homily in French here. Tradition holds that on Holy Friday, church bells everywhere fly away to Rome, receive blessing from the Pope and come back to their parish on Easter Sunday to bring back the good news of Christ reborn! 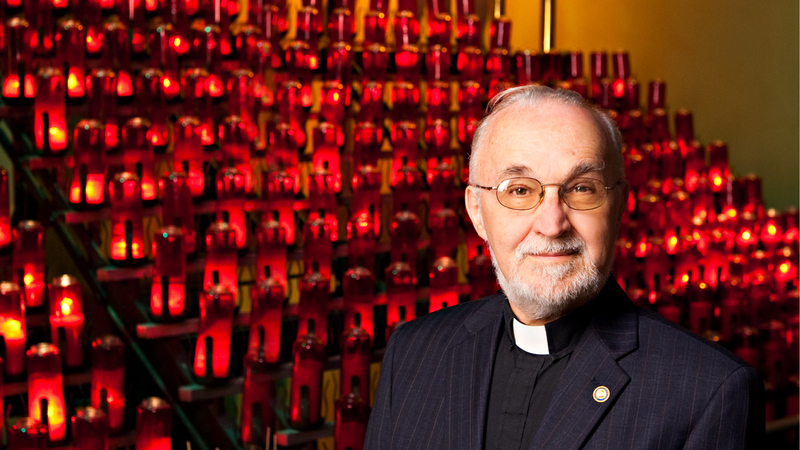 Father Claude Grou, Rector of Saint Joseph’s Oratory of Mount Royal, addresses a few words following the aggression he was the target of on March 22, during the morning Mass at the Oratory. Welcome God… Become like Him! By Mgr Yvon Moreau, O.C.S.O. Discover the inspirational text that is offered to you on this 9th day of the Novena to Saint Joseph. Welcome God… Enter into the mystery of prayer! Discover the inspirational text that is offered to you on this 8th day of the Novena to Saint Joseph. Welcome God… Under the guise of your brother, He awaits your love! Discover the inspirational text that is offered to you on this 7th day of the Novena to Saint Joseph. God Welcomes Us Today… Hurry! Reconcile with your brother! Discover the inspirational text that is offered to you on this 6th day of the Novena to Saint Joseph. God welcomes us today… Knock on the door of His heart! Discover the inspirational text that is offered to you on this 5th day of the Novena to Saint Joseph. God Welcomes Us Today… Return to Him with all your heart! Discover the inspirational text that is offered to you on this 4th day of the Novena to Saint Joseph. God will welcome us at the end of the journey… You shall know His mercy. Discover the inspirational reflection that is offered to you on this 3rd day of the Novena to Saint Joseph. God will welcome us at the end of the journey… He will accept us on the basis of our love. 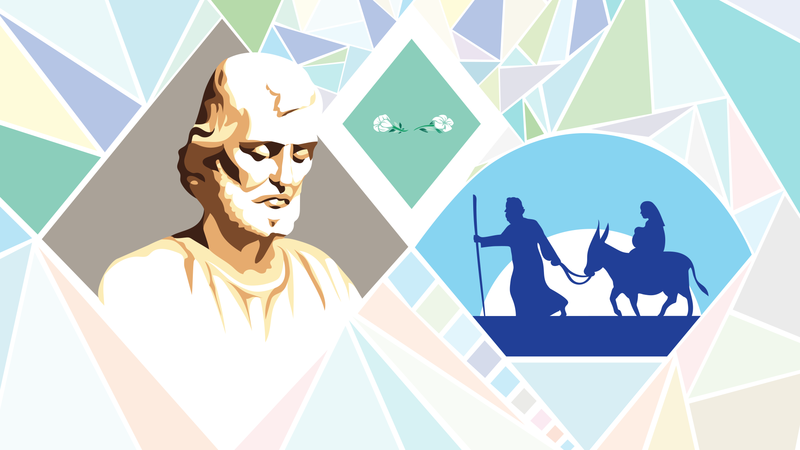 Discover the inspirational reflection that is offered to you on this 2nd day of the Novena to Saint Joseph. God will welcome us at the end of the journey… Hold fast to hope! Discover the inspirational reflection that is offered to you on this 1st day of the Novena to Saint Joseph.